Simon Batchelor from Gamos writes on the SAMSET team’s visit to Ekurhuleni Metropolitan Municipality’s Simmer and Jack waste-to-energy facility. As a part of the Africities Summit 2015 (Mark Borchers’ previous blog), we visited the Simmer and Jack Landfill site to see an example of a waste to energy facility. Ekurhuleni Metropolitan Municipality is not part of the SAMSET programme of work, however they were kind enough to host a site visit to the 1MW landfill gas to electricity plant at the Simmer and Jack landfill site in Germiston, Johannesburg. This project, which was commissioned in September 2014, has reduced electricity purchases from Eskom by 7 GWh/year. The gas capture has also greatly improved local air quality and the environmental conditions of the communities living alongside or nearby the site. The work in Germiston had already been used as a case study for the Urban Energy Support programme, funded by the South African Local Government Association (SALGA) in partnership with SAGEN. SAGEN is the South African German Energy Programme implemented by the Deutsche Gesellschaft für Internationale Zusammenarbeit (GIZ). Sustainable Energy Africa (SEA) was commissioned by GIZ to develop the case studies, in close partnership with SALGA and GIZ. We compiled a video made up of information from the case study and video footage taken during the site visit, which we hope will enhance the original case study. At a recent professional development meeting for DFID (UK Aid) staff (Feb 2016), the video was shown and used as a discussion point on waste by Prof D Wilson, Visiting Professor in Waste Management at Imperial College London. Many of the SAMSET municipalities are concerned with waste management and as cities grow it is an increasing problem. Perhaps more of this utilization of the gas would turn a problem into an opportunity. This entry was posted in Gamos and tagged African Cities, African Municipalities, Africities, Africities 2015, Ekurhuleni, Gamos, GIZ, Municipal Waste, Municipal Waste Management, SALGA, SAMSET, South Africa, Sub-Saharan Africa, Sustainable Waste Management, Urbanisation, Waste-to-Energy on March 7, 2016 by danielkerrucl. Mark Borchers from Sustainable Energy Africa writes on the recent Africities summit, and the role that SAMSET played in advancing sustainable energy themes at the summit. The Africities Summit is held every 3 years and is possibly the foremost gathering of African local government politicians and officials on the African continent. It is also well attended by national government and other players such as local and international NGOs. 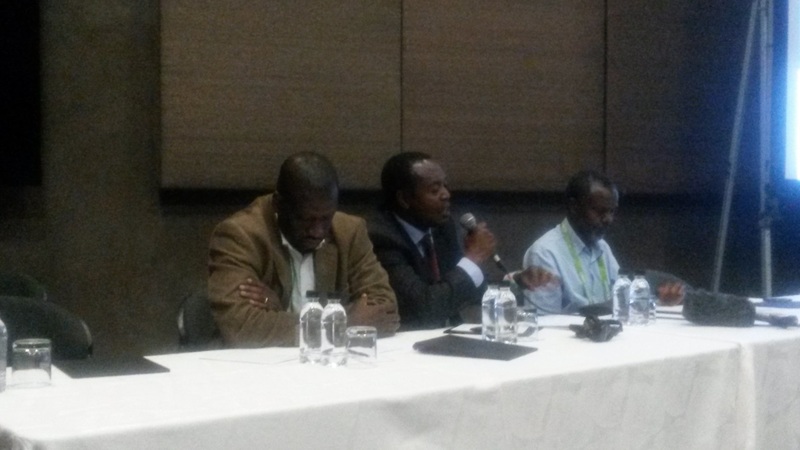 The SAMSET team attended the 2015 Africities Summit in Johannesburg in November, and SAMSET organized a session on Sustainable Energy in urban Sub-Saharan Africa: the Role of Local Government (see the background paper here). It was competently chaired by the Executive Mayor of Polokwane (a South African municipality), Cllr Thembi Nkadimeng, and key recommendations emerging were included in the Summit outputs. In addition, SAMSET, in partnership with SALGA, GIZ and the City of Johannesburg, organized fieldtrips to sustainable energy installations in the area – rooftop solar PV, landfill gas electricity generation, sewage methane electricity generation, mass solar water heater rollout, and public transport and spatial planning systems (click here for an example). Overall, however, although our event was relatively well attended, it was interesting to me that energy and climate change did not seem to be a priority in the minds of the majority of attendees. There were a few energy and/or climate change sessions held, and these did not attract much attention compared with many other sessions. Let us not forget that this relatively low level of participation in the energy events is in the context of a great range of parallel sessions of central importance to local governments, such as those around transparent governance, demographics, financial resources, decentralization and relationships with tribal authorities. In addition, the energy related events were not the only ones with unexpectedly low attendance. Nevertheless, it was apparent to me that energy issues were more peripheral to local government than I had envisaged. On reflection, this isn’t surprising. Dr Vincent Kitio of UN Habitat Nairobi hosted one such energy event at the 2015 Africities, and told me that a similar event he organized at the previous Africities was the first ever that focused on energy. So energy is a relatively new consideration for local governments. In most African countries energy is considered purely a national function, and the important influence of local government on sustainable energy, such as in transport and spatial planning and building design, and the renewable energy opportunities from waste management, amongst others, has still not been internalized by any sphere of government other than in a scattering of pioneering municipalities across the sub-continent. Yet, as noted by the Cities Alliance “…as long as cities and local authorities are not put in a position to take initiatives and be at the forefront of actions to make African cities more inclusive, competitive, sustainable, safer and better managed, there is little chance that Africa will overcome the challenges posed by rapid urbanization” (Assessing the Institutional Environment of Local Governments in Africa, 2014, p10). This need to capacitate and resource local government applies to their role in promoting sustainable energy as well, and is of added urgency given the monumental challenge of meeting SDG (Sustainable Development Goal) 7 in Sub-Saharan Africa. This is the area SAMSET is working in, but, given how far we still have to go, many more players and resources are needed to achieve the huge shifts necessary. This entry was posted in Sustainable Energy Africa and tagged Africa, African Cities, Africities, Cities Alliance, City Energy, Conference, Energy, Johannesburg, Local Government, Municipal Energy, Municipal Government, Polokwane, Renewable energy, SALGA, SAMSET, SDG, Spatial Planning, Sustainable Cities, Sustainable Development Goals, Sustainable Energy, Sustainable Urban Energy, Transport, Urban Planning on February 1, 2016 by danielkerrucl.